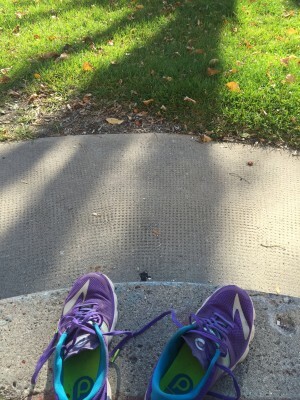 Today I took my runners off after my 10k run and just sat on the front step. I was sheltered from the wind. The sun was warming and generous. Leaves rustled on the trees that hadn’t yet shed their colours. Where’s gracious? That’s a good friend. So today I sat in the sun with my shoes off. I let everything go out of focus for 2 minutes.